Are you up for a walk through the cove? The new park in Anderson Cove is almost done. Good things are happening in Anderson Cove. A new park on the waterfront is slated to open in about a month. Plus, a few new businesses, including an Irish pub and a brewery, have come to 15th Street. Who wants to go check it out? At 2 p.m. on Saturday, I will lead my latest Story Walk through the cove, starting at Hi-Lo Cafe at 15th Street and Wycoff Avenue. We’ll hear from the owners about how they’ve created one of the best breakfast and lunch spots in all of Kitsap County. Then, we’ll set off for an approximately 1/2 mile walk to Bremerton’s newest park, named for Bremerton civil rights pioneers James and Lillian Walker. The park, with an ampitheater-like setting overlooking the Port Washington Narrows, will likely open in September. We’ll get a sneak peak with help from Bremerton Parks Preservation and Development Manager Colette Berna. 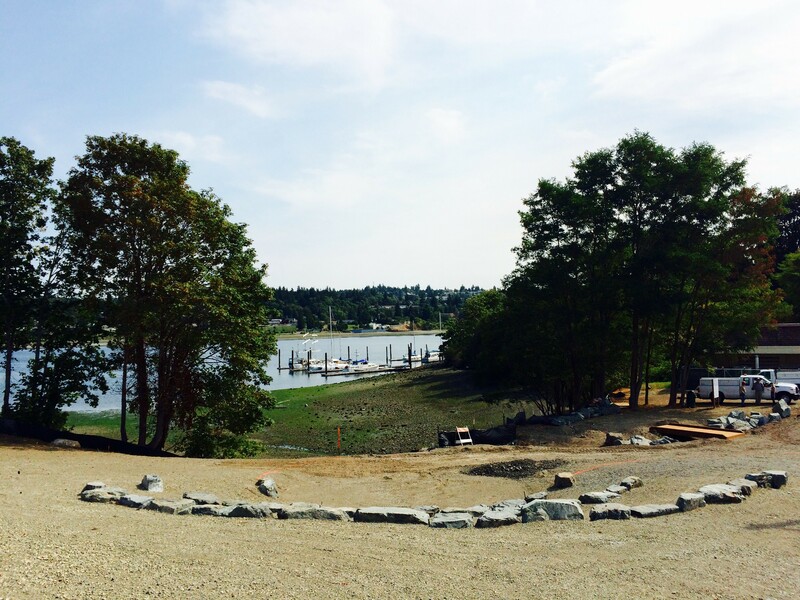 The architect of many of Bremerton’s redeveloped parks will take us through how the less than 1-acre parcel came together, and how it demonstrates the state’s newest methods to keep stormwater out of Puget Sound. We’ll return to 15th and Wycoff to conclude the walk (you can also take a bus back for $2) and a stop at Bremerton’s newest restaurant, Bualadh Bos, for some food and good company. I am also hopeful we can speak with the proprietors of soon-to-be opened Hale’s Ales brewery and taproom, on the corner of 15th and Wycoff as well. 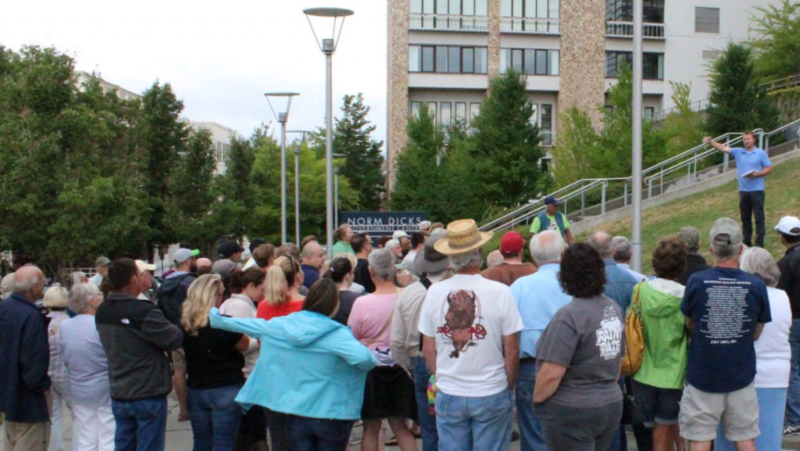 I hope you’ll join us for a walk through this changing Bremerton neighborhood Saturday! Please RSVP here, and here’s links to our previous walks.